Details matter when buying Highlands NC real estate. In other words, make sure you examine a property and all of the documents associated with the property prior to closing. Knowing what you are purchasing is essential. Your Highlands NC REALTOR will help ensure that all of the boxes are checked and that your purchase is completed with due diligence. Make sure when you are looking at a Highlands NC home for sale that you see everything. For example, is a rug is covering missing tile or stained hardwoods? On the flip side are your repelled by a messy home and unable to see its value? It is important to not be distracted by what you see in the home in order to see the home and its potential or its pitfalls. The home inspection is a vey important part of buying Highlands NC real estate. Ask questions. Make sure you understand the report. Additionally, ask about the age of appliances, water heaters, and any clear renovations that have occurred. The more you know the better! Contact me, Lynn Kimball, today to learn more about buying a home in Highlands NC. I welcome the opportunity to update you on market conditions while answering all of your questions. 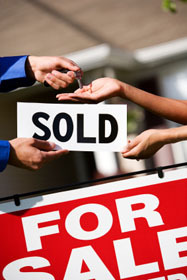 Let my knowledge and experience serve as your guide to buying Highlands NC real estate. Click here to read ”Seeing It All When Viewing Property” from Realty Times.